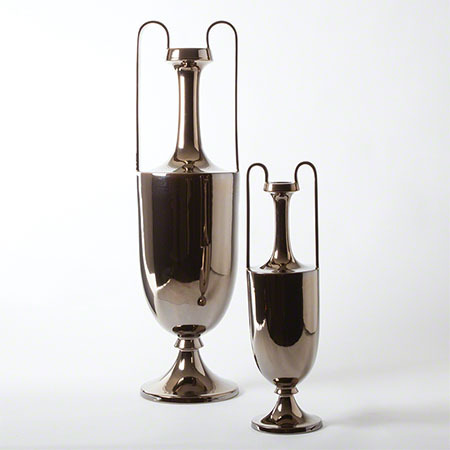 A modern twist to a classic shape; amphoras were used as early as the Bronze Age. Elongating the shape and utilizing a Metallic Bronze Reactive Glaze brings modernity to a shape steeped in history. An intricate crackle is evident beneath the reactive glaze. Made of fine Portuguese ceramic.